Borderline personality disorder – often referred to as BPD. Heard of it? Probably not. Although it is less common than disorders such as depression, anxiety and eating disorders, it is known to affect at least 2% of the adult population, and it accounts for 25% of all psychiatric hospital admissions. 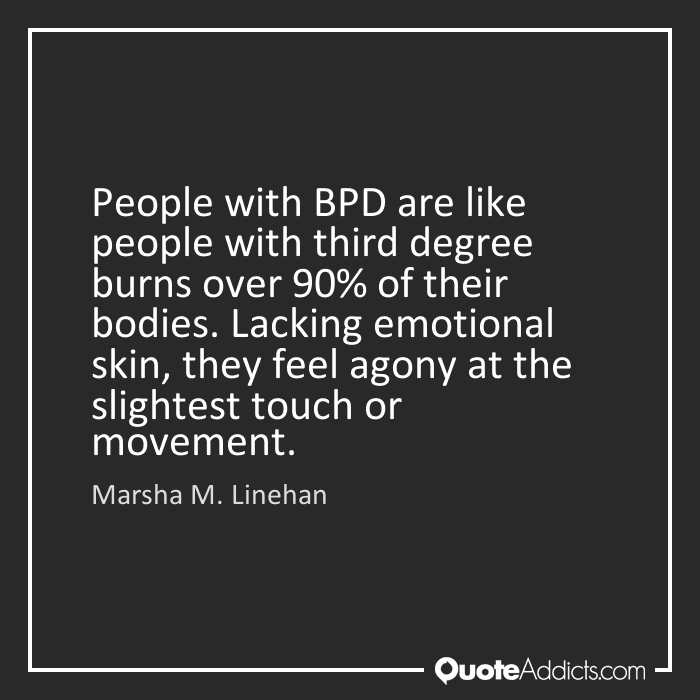 So what is BPD? A person with borderline personality disorder was originally said to be on the “borderline” between psychosis and neurosis, however it is now thought that BPD is not a psychotic disorder. Rather, it is now known to be a disorder that begins in early adulthood and is characterised by extremely unstable mood, chronic feelings of emptiness, unstable relationships and identity disturbance. 70 percent of all BPD sufferers are known to attempt suicide – with 10 percent succeeding. BPD has a suicide rate that is 400 times the national average. So why has no one heard of it? On the rare occasion that people may have heard of it, they generally hold negative assumptions, due to the way it is portrayed in the media. BPD sufferers are often portrayed as evil and manipulative, and are associated with criminality. However, in most cases, this is far from the truth. I was diagnosed with borderline personality disorder at the age of 18, after being under NHS mental health services for three years. My diagnosis came as a relief – not a burden, as many people would assume. After learning more about what it meant to be a “borderline”, the way I was feeling suddenly began to make sense. The way my moods would fluctuate beyond the normal levels, the way I saw the world in a very black and white way, the way I felt I had no identity… Suddenly I realised that I wasn’t alone in this. I’m now about to start DBT, which stands for dialectical behaviour therapy, in conjunction with taking an antidepressant and an antipsychotic medication on a daily basis. DBT was originally created by Marsha Linehan, specifically to treat borderline personality disorder, and it is found to be incredibly successful. BPD, when untreated, can be very stressful for the sufferer and those surrounding them. However, it is not a diagnosis for life – BPD has an incredibly high recovery rate, with the majority of sufferers going on to lead normal, healthy lives.